Your 100% satisfaction is our top priority! We guarantee it! Have an issue? Let us know! Lifetime Limited Warranty! 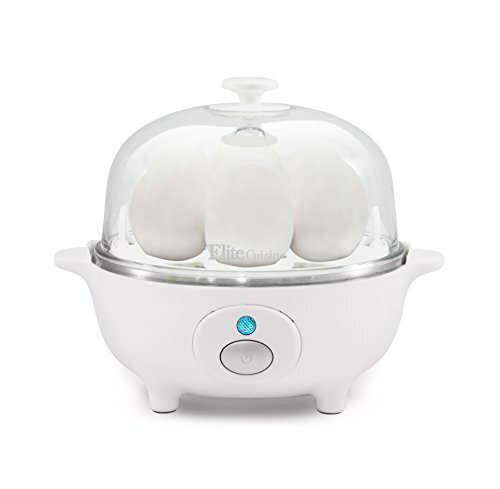 Cook up to 7 eggs in soft, medium, or hard boiled firmness, while saving time and water. Eggs come out consistently perfect, shell is easy to peel, and clean up is super easy! Fill measuring cup with water to the desired firmness, press the power button once and within minutes your eggs will be "Egg-Celent!" Auto-off and built-in cooking timer gets it right everytime! Includes measuring cup with firmness markings, egg tray, poaching tray and omelet tray.